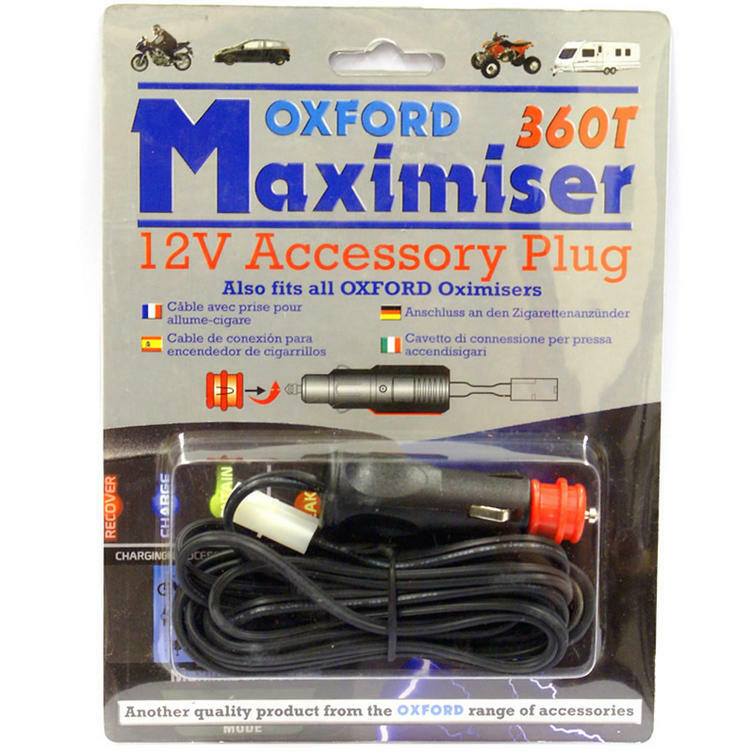 Designed to be used with the Oxford Maximiser 360T and Oximisers, the Oxford 12 V Accessory Plug. Now you are able to charge or maintain your battery on the go using a 12V power source, this adaptor simply plugs onto your existing Oxford devise. Get yours from ghostbikes.com now! Ghost Bikes now stock a full range of Oxford Motorcycle Accessories Please click here to see what's currently available. The Oxford 12 Volt Accessory Plug is packed with features..